Hip-hop music originated as the voice of Black America, but what happens when other parts of the melting pot attempt to also join the genre? Who is allowed to be a rapper and who isn't? And what is life like as an "outsider" of the music industry? Those are the questions director Salima Koroma and producer Jaeki Cho asked before making their incredible TriBeCa documentary "Bad Rap." 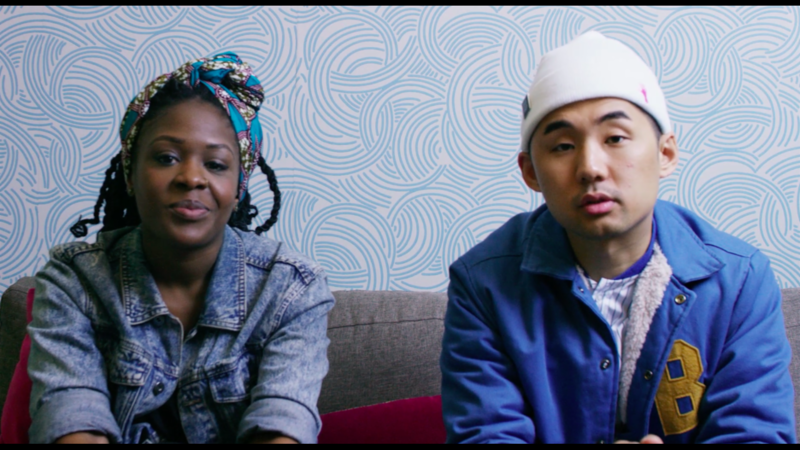 The film follows four Asian-American artists, Dumbfoundead, Awkwafina, Rekstizzy and Lyricks, as they attempt to navigate the tricky and unapologetic world of hip hop, one that often treats them with disdain or indifference. With Korma's keen observational eye that brings together these compelling narratives, "Bad Rap" becomes and incredible and honest look into the lives of people attempting to break their own glass ceiling into a genre that is harshly protected. We recently sat down with director Salima Koroma and producer Jaeki Cho about their latestTriBeCa film. Watch the video above to find out what led them to this project, the reaction its received from audiences and critics, and more! And for more on TriBeCa Film Festival, scroll through the gallery below! Rapper Ludacris attended the 2015 Tribeca premiere of "Live From New York!" the highly anticipated SNL documentary. Actress Kelly Rutherford attended the premiere of 'Live From New York!' during the 2015 Tribeca Film Festival on April 15. She wears a super chic blue and black shift dress. SNL creator Lorne Michaels attended the world premiere of 'Live From New York!' during the 2015 Tribeca Film Festival. Actors Beck Bennett (L) and Bobby Moynihan attended the Opening Night premiere of 'Live From New York!' during the 2015 Tribeca Film Festival on April 15. Former Mayor of New York City Rudy Giuliani and wife Judith Giuliani attended the world premiere of 'Live From New York!' during the 2015 Tribeca Film Festival on April 15. Actors Robert De Niro and Grace Hightower attend the world premiere of 'Live From New York' during the 2015 Tribeca Film Festival, which DeNiro co-founded in 2002. Jane Rosenthal who co-founded the festival with Robert DeNiro and Whoopi Goldberg attended the Tribeca Film Festival Juror Welcome Lunch on April 16 . Actors Steve Buscemi and Vanessa Williams attended the Juror Welcome Lunch for the 2015 Tribeca Film Festival on April 16. Stephen Colbert is almost unrecognizable at Tribeca where he sports a baseball cap and a long beard, before his Tribeca Talks: Director Series with George Lucas. Actor Christian Slater attended the 2015 Tribeca Film Festival after party for "The Adderall Diaries" on April 16. Actress Laverne Cox attended the premiere of 'The Wannabe' on April 17. She kept her outfit simple, with a pop of color in her red handbag. Actor John Leguizamo attended the world premiere of 'Meadowland' on April 17. Actress Katie Holmes rocks a grunge look when she attended the Eternal Princess premiere.